Alternative Bag and Shoes You NEED. 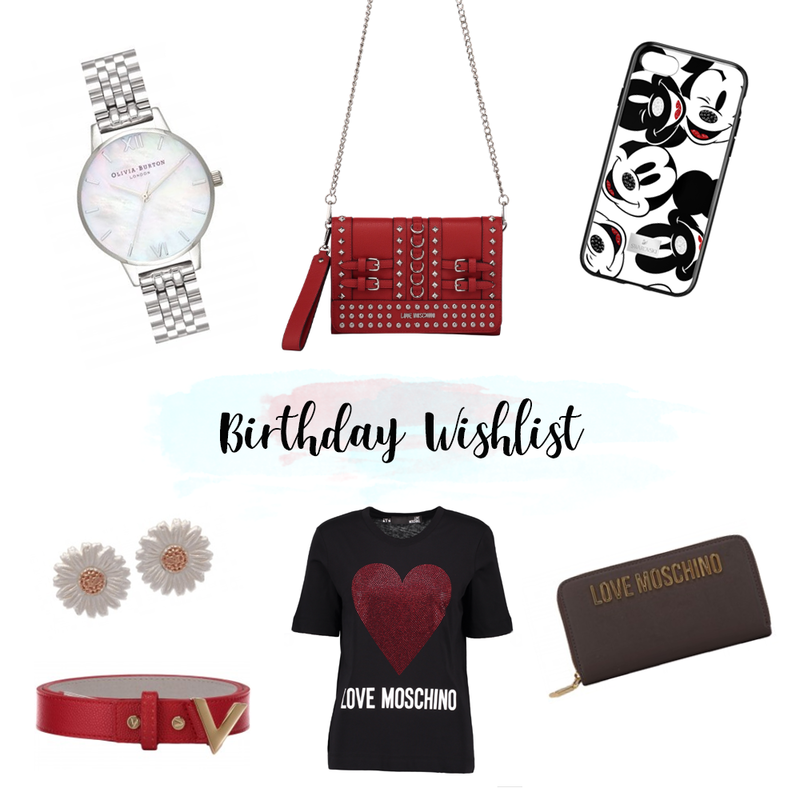 It's been forever since I've done a wishlist styled post and to say these were a regular feature on my blog, I am slightly sad they've become non-existant for a while. I am currently on the lookout for a new bag after two of my favourite bags were no more. One of which was 110% my fault, when I had a *little* soy sauce spillage in, and no matter how much you try to remove it, that smell isn't going anywhere. Then, my beloved holographic bag from Attitude Clothing after only six months one of the staps snapped, and I was pretty gutted to be fair. So that leads me to look on just about every 'alternative' site to seek out a replacement, and as much as I'd love to buy them all, my bank balance and my somewhat version of willpower say no. Jessie bag from Irregular Choice. Love Stings bag from Skinnydip. Moon Spells bag from Attitude Clothing. 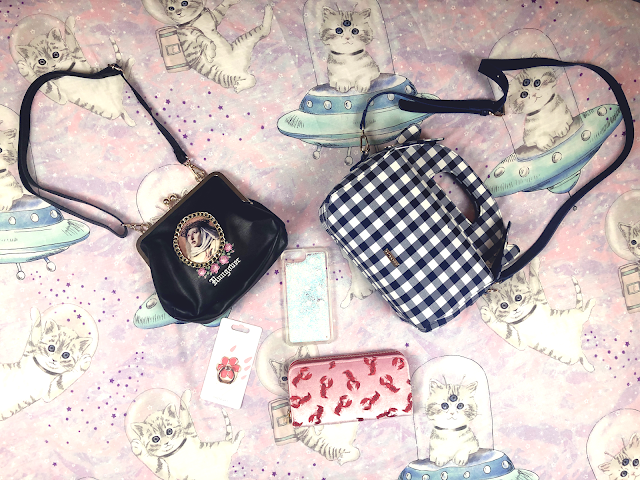 Kawaii Cat backpack from Attitude Clothing. Star Kissed backpack from Blue Banana. Arch Enemies from Irregular Choice. 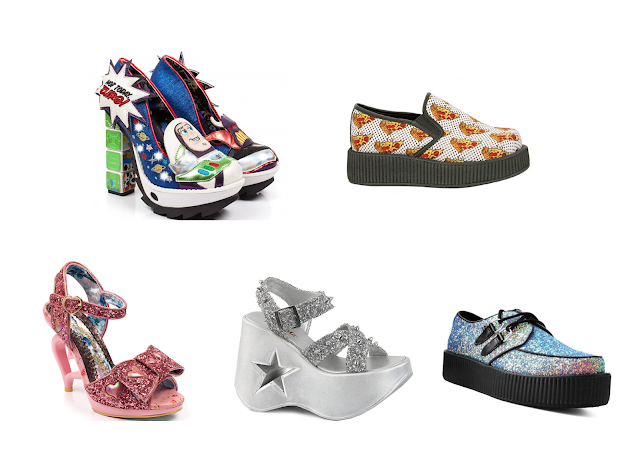 Pizza creepers are from Tuk Shoes. With Love sandals from Irregular Choice. Glitter creepers are from Tuk Shoes. Would you purchase any of the items on my wishlist? 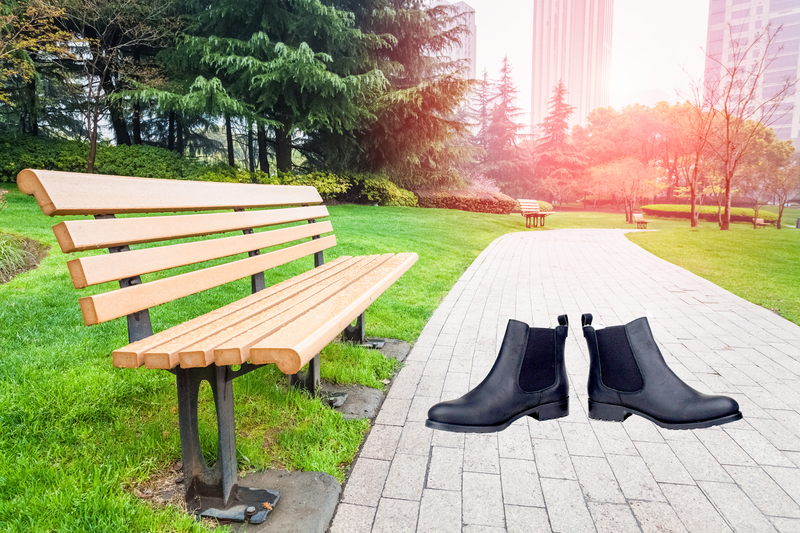 These boots were made for walking | Footway Review. Recently Footway got in touch with me asking if I'd like to review a pair of shoes from their site, and I jumped at the chance. I began searching their site for the perfect pair, with everything from a variety of Dr Martens to Adidas, Footway have just about every brand you could think of at a discount price. After many days of trying to decide on the final pair I decided to go for a pair of boots from Sixtyseven. The boots were a lot like my usual style, however these felt a little more classy than boots I had previously purchased from other retailers. 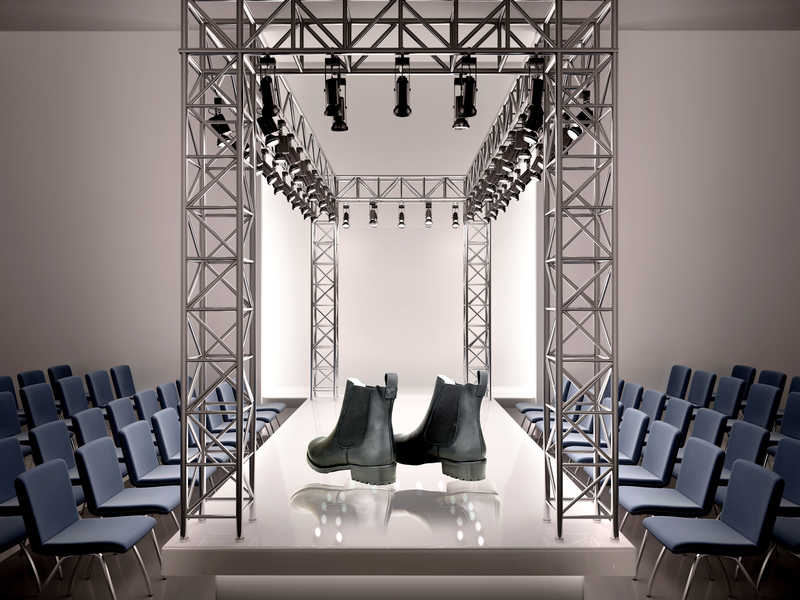 The shoes felt sturdy, looked good, go with a lot of items and even give me a little extra height, which is key for me in shoes being 5 ft 3. These boots are currently on the Footway website for £99, which is a lot more than I would usually pay for boots apart from where Dr Martens are concerned, but I am happy with the product I have recieved. They're comfy and despite walking around for hours in them my feet stay comfortable, win. I stupidly decided to wear these for the first time when we to a farm, so they got a *little* covered in mud, but when I got home, the shoes were easy to clean off and looked like brand new. As it's me and I couldn't just do a normal review, I had to do something fun to mix it up a little. Hence where the boots in different locations came in. Inspired by the song these boots were made for walking, I decided to pick a variety of locations to show off the boots. Which allows you to view the boots from all angles. Although I maybe wouldn't recommend wearing them on the beach, may be a little hot. 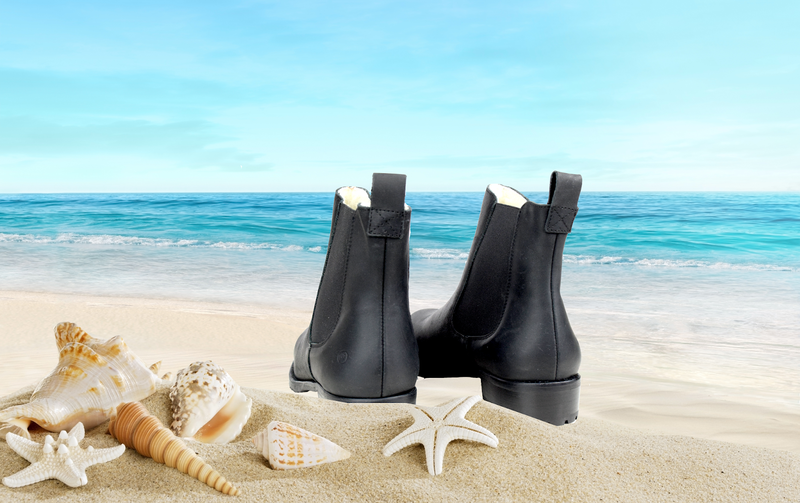 Overall I am pretty pleased with the boots and glad I stepped a little out of my comfort zone, I would use Footway again, as their site is easy to navigate around and you can search for shoes by brand and/or size. I found the delivery to be average, not as fast as I would of liked but still a fairly quick time from store to my front door. Next I will have to try the Dr Martens for sure. 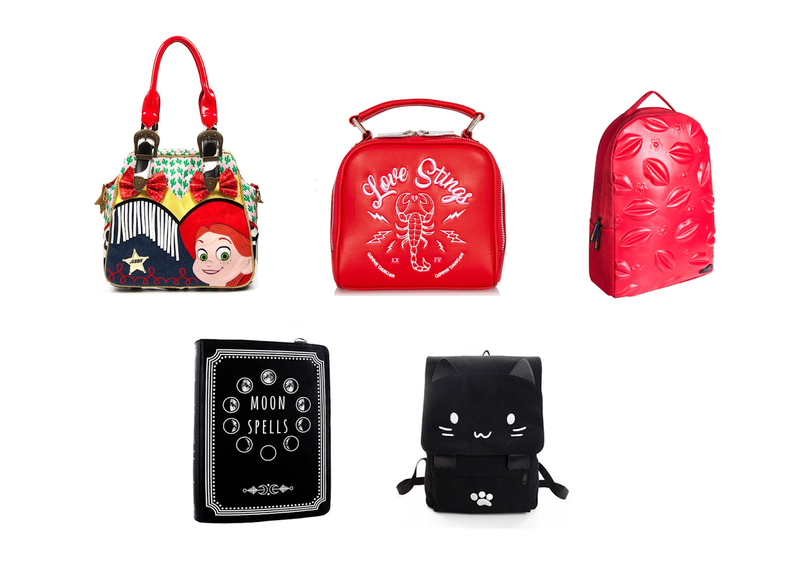 Alternative Gift Guide with EMP! It's November, which for most bloggers means Christmas. I can certainly say I've already started creating my gift guides and I even started in October. When EMP got in touch asking if I would like to create a post for them, I already knew it had to be a gift guide. Going on to their store was like a dream for me, tons of band merch, Pop Vinyls, Pokemon and even a whole section on Unicorns! I am one for 'different' clothing which you'll probably of figured out by now, if you have seen any of my shop my style posts. I am pretty similar with gifts too, I love unique things and anything a little bit out there so EMP is like the perfect site for me. Below I am going to talk about my choices and hopefully you find something you like for a loved one (or yourself, if you're like me). I have recently gotten into collection Pop Vinyls again, which is pretty bad for my bank balance, however my shelves now look pretty cool. 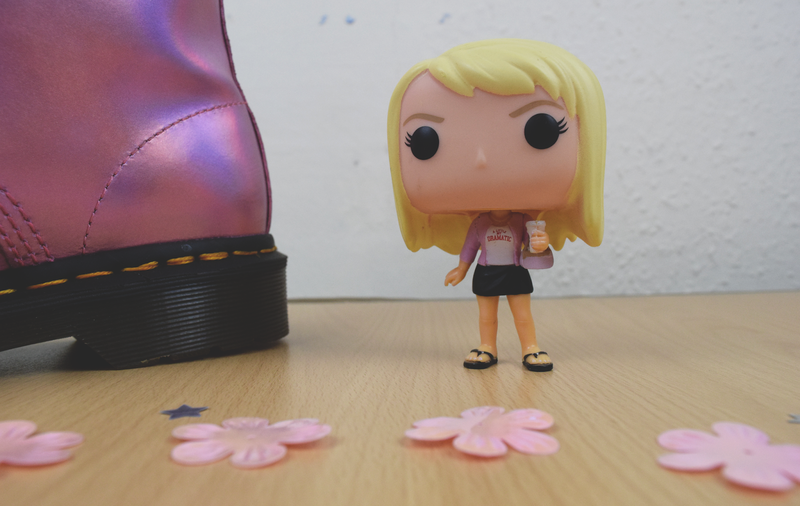 Whether you just have one or 100's, Pop Vinyls brighten up any room and are a great way to start a new collection of your favourites. I am currently building my Scooby Doo collection, can you tell? EMP have a fabulous collection of wrist watches, including plenty of Disney Princess ones. I saw this one and fell in love, it's still my alternative style with a mix of cuteness. The bow on it just finishes it off. 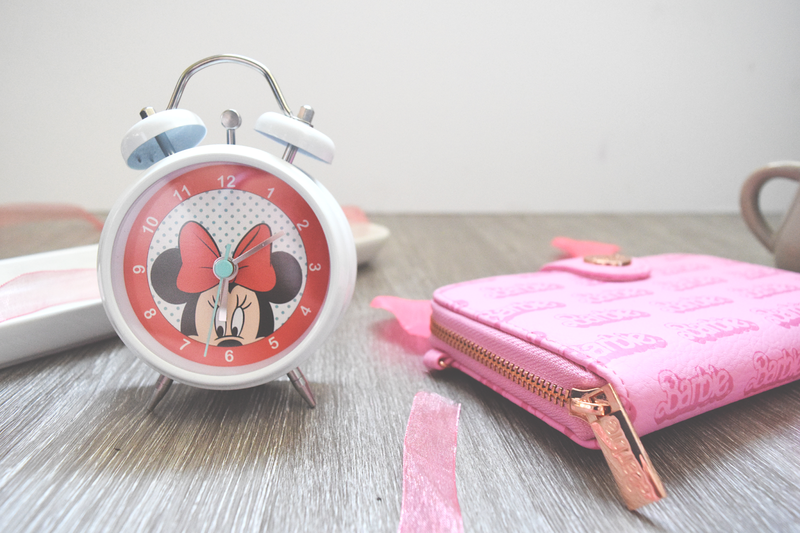 These watches are fabulous gifts for any Disney fans out there! I have the largest collection of oversized phone cases, and this is definitely one that fits into the theme. 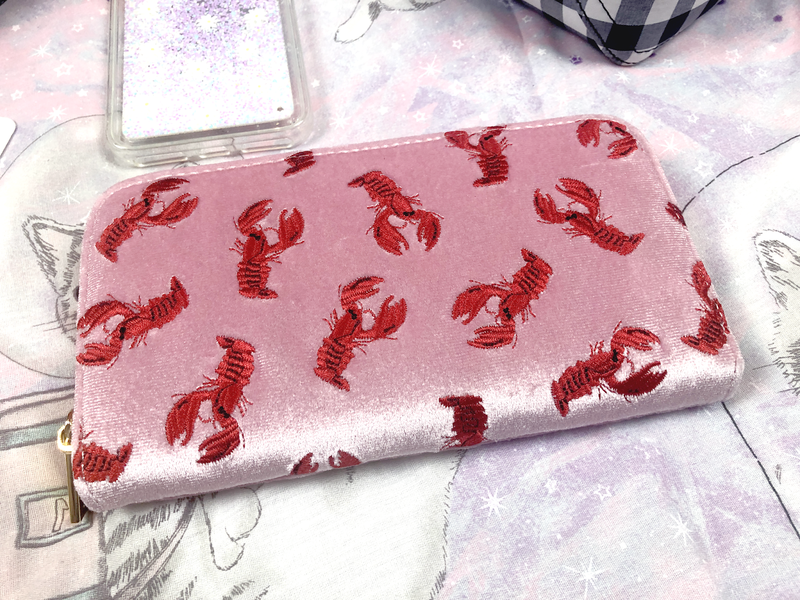 This is a great present for anyone who collects phone cases like me or likes phone cases with a difference. It's not the most discrete phone case ever, however it is adorable and kinda gory too. Ok so, Unicorns have been a huge thing over the last few years, and I am so glad this is the case. I pretty much would buy every single piece of unicorn merch if I had the space. This mug is great for someone who isn't your typical fan of unicorns, however this mug makes unicorns cooler. Or just someone who loves unicorns. As I said above, EMP have a huuuuuge selection of band tees on offer. I am a huge All Time Low fan, it was like that 14 year old who used to go every concert is still sat within me, despite not going to see them anymore. Their new music isn't as good as their old in my opinion, however they still create some AMAZING merch. If All Time Low isn't the type of band you'd go for there are plenty more to choose from for your friends and family. I had to put this on here for the childhood throwback, I am a huge monopoly fan and I think it's a great way for people to have fun. When I saw they were recreating Pokemon monopoly I knew it was something I needed. This is a great gift for anyone of any age, who enjoys Monopoly and likes Pokemon too! What is your favourite item on the gift guide? 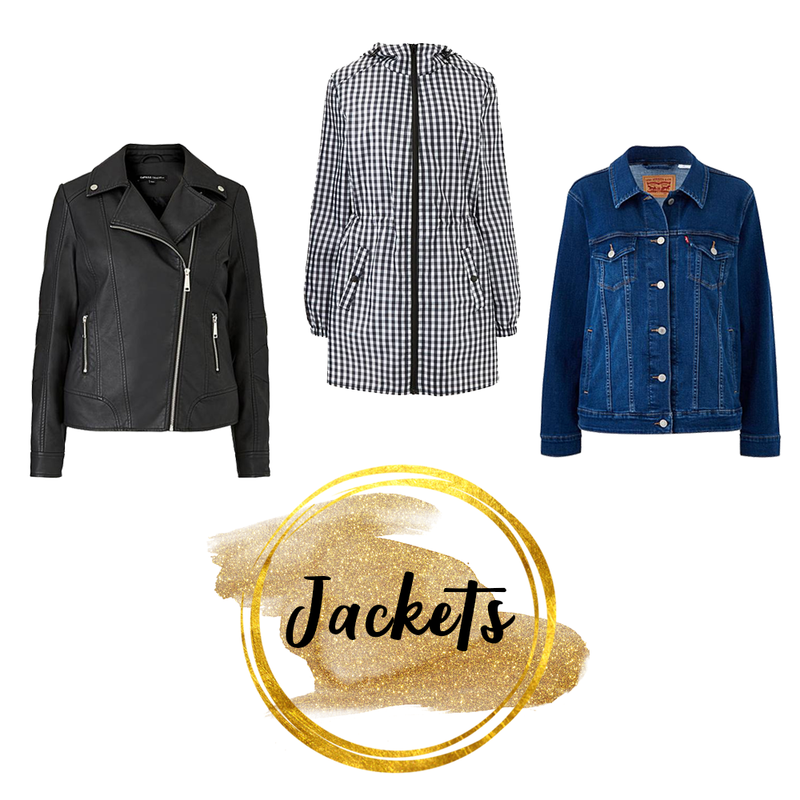 I am far too in love with creating the fashion looks for these posts, and as it is officially October that means Autumn! So I have decided to create an Autumn styled clothing wishlist or also known on my site as shop my style! If you haven't guessed from my other posts I have quite a quirky style, and mostly wear dark colours. So Autumn and Winter are my fave times of the year to get new pieces in my wardrobe, including big fluffy jumpers and all of the ankle boots, woo! 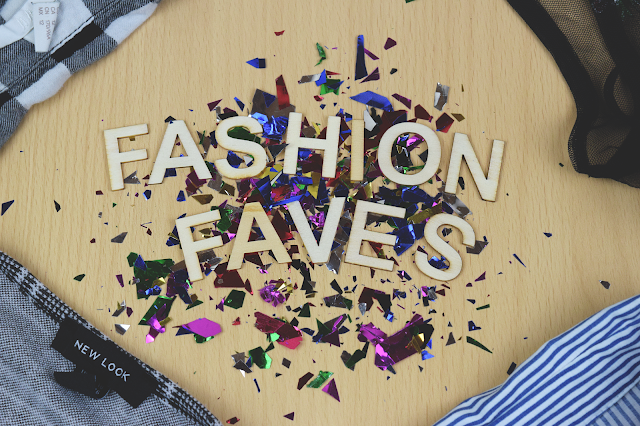 Let me know your favourite places to get clothing for AW in the comments below! Jumper is from Boohoo (OLD). Shoes are from Schuh (Similar here). Tee is from Truffle Shuffle. Boots are from Attitude Clothing. 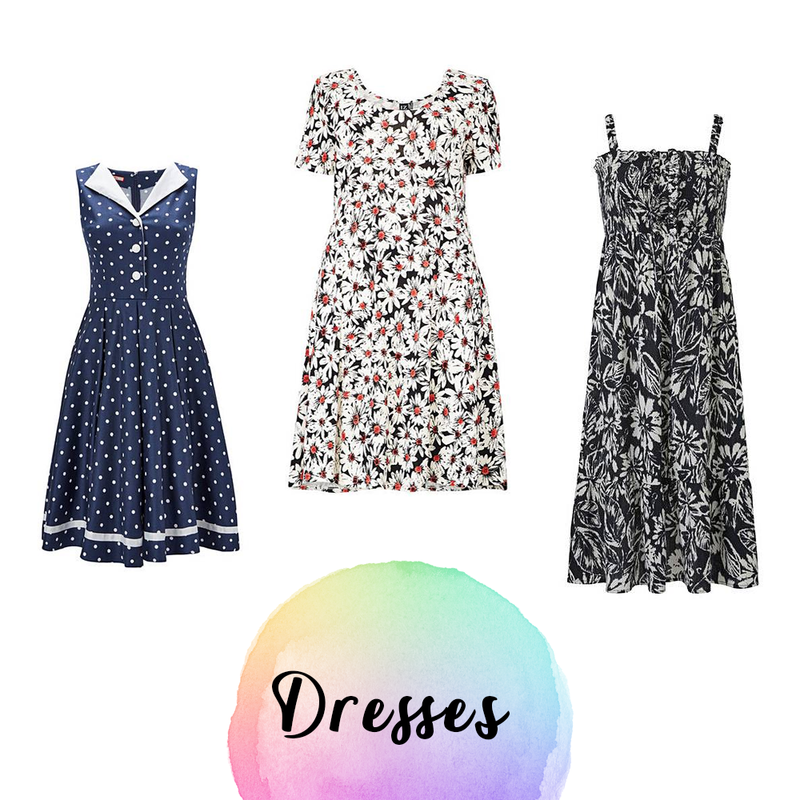 Let me know which your favourite outfit is and why! 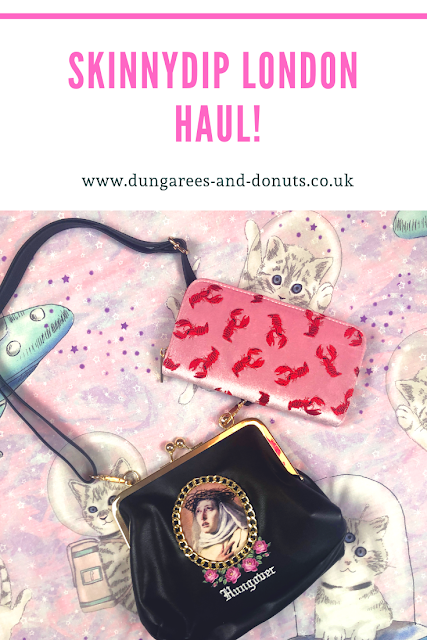 If you are a long time reader of my blog, you will know I am a huge fan of the online store Truffle Shuffle, they sell some of the best merchandise out there, from clothes to stationery and now even homeware they have it all. So recently I teamed up with Truffle Shuffle again, the last time was back in 2015 however they have been featured a few of my shop my style posts. 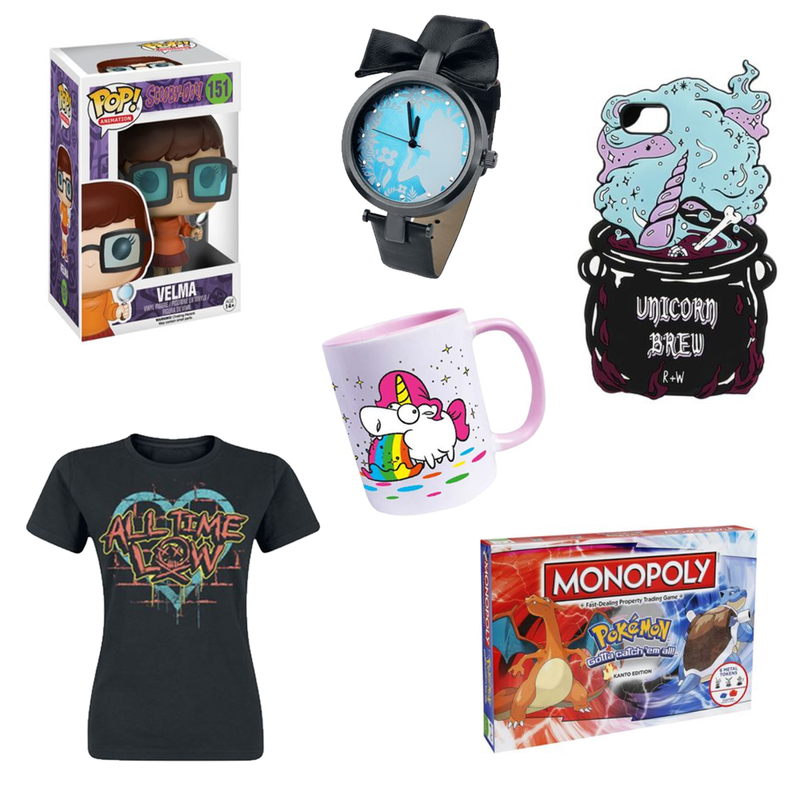 So I wanted to share with you some of the cool items you can purchase from there, as it is now the run up to Christmas and I'd say they have pretty much something for everyone on their site, including Disney, Pusheen and even Mean Girls! YAY. So what is in my haul? I would have loved to feature some of their beautiful clothing pieces as this retro video tee is one, however, I am currently on a weight loss plan and I don't want to get too many pieces of clothing until I've lost the weight. However, in the future, I do plan on doing a full-blown clothing haul from Truffle Shuffle so you'll see it then. Recently I've seen a ton of Barbie merch pop up, and I fell in love with it all. I wanted to purchase the backpack however it doesn't seem to be in stock. However I am glad I purchased this purse, I have become a little attached to my old one but it was time for a new one. It's quite a big purse which has a handle on it and could probably fit a phone in so I would say it could double up for a little clutch bag. 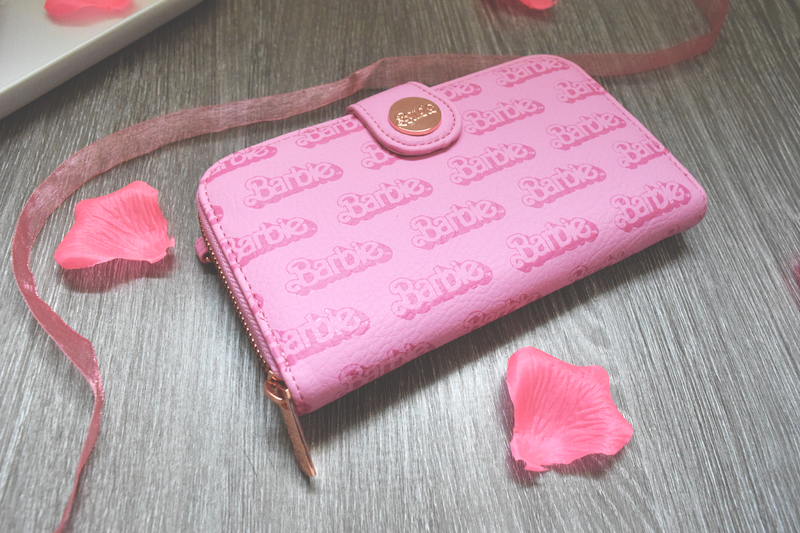 It has plenty of storage for cards, receipts and coins (hallelujah) and looks adorable inside too. 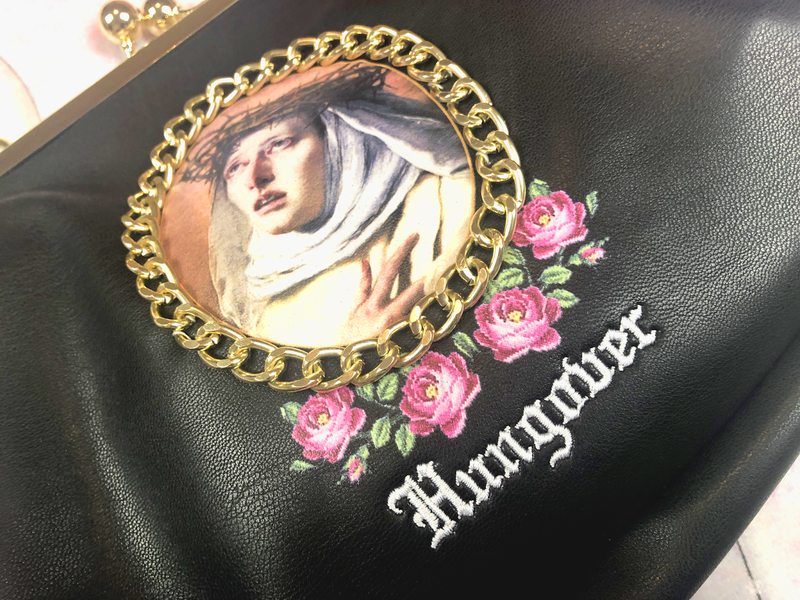 It's a fun and beautifully coloured purse and definitely bringing back those 90's vibes. Barbie purse is £20.99. As soon as I saw this, I knew I needed to have it in my life. Although I am never going to use it as an alarm clock, it would look adorable on my bedside table. I am a huge fan of Disney merch at the moment and for £10.99 I knew it needed to be mine. 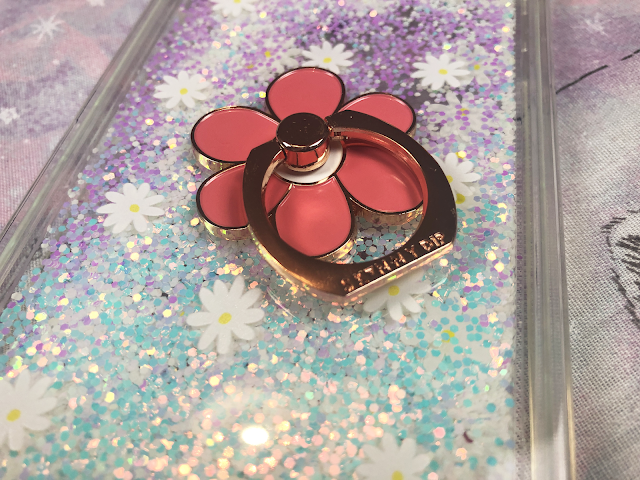 I just feel like it is something every blogger needs in their life who is a Disney fan! 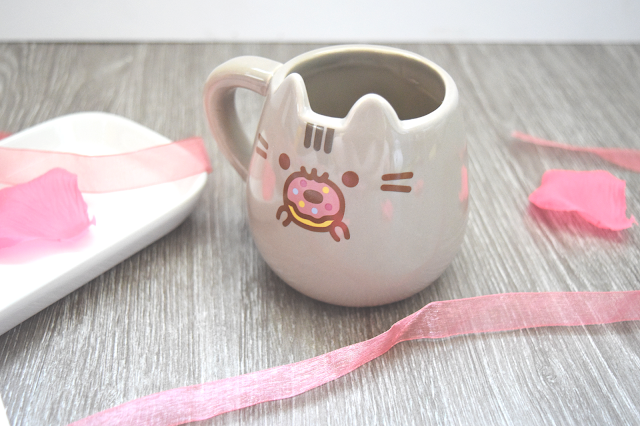 I am in love with everything Pusheen. I am constantly sending my boyfriend the stickers of them on Facebook. 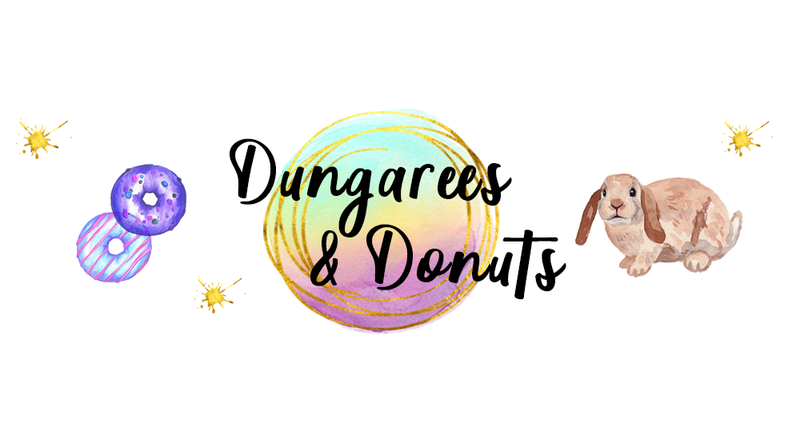 When I saw it was a Pusheen eating a doughnut, well it had to be done. It fits into my brand and is such a sweet mug. Perfect for my morning coffees at work! I have now decided this haul is basically just one big throwback to the 90's. I was obsessed with the Trolls growing up and even though looking back on it now, their faces are a little creepy. But they inspired the bright hair and they rock it. This notebook is being used for me to keep track of my syns and each page has an adorable picture on it. Have you ever shopped on Truffle Shuffle? Is it better to order glasses online? I am pretty sure I have a problem with hoarding glasses, at one point I had 18 pairs and then I was gutted when I got a new prescription. I like buying glasses but if you go into the shops a lot of the time, they are really expensive, they're designer and do have better lenses (most of the ones online seem to be plastic and get dirtier, waaaay easier) however that does depend on how much money you spend on them, I have a current variety of four pairs. One pair of sunglasses which cost me £20, a pair of glasses which I use when I want a really light pair on, like for lying in bed etc which were £12, then a couple of designer pairs, the ones which are featured in this post which I will talk about a lot more in detail in a second and also a pair of police ones which were fab before Will sat on them and they only cost £55! However I have noticed with some of these glasses they are little more agile and like I mentioned the plastic lenses can be a down point. So I was recently offered to review a pair of glasses of my choice from Glasses Direct, I chose the pair of Scout Millie Glasses which are my first pair which have a metallic frame since I was about 12 years old. I used to find them slightly annoying as they are heavier and sometimes have those annoying bits that sit on your nose and usually poke your nose and make it rub. Even though it's supposed to stop this? Maybe that's just me, anyway enough of that. These glasses do not have that issue as there is no nose pieces and they actually do not feel heavy at all on my face. Glasses Direct give you 360 view of your glasses so you're able to see what they look like from each angle. They are available in a range of colours and you can also add a variety of lenses in to pick which suit your needs including sunglasses. 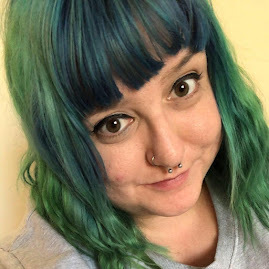 One of my favourite things about Glasses Direct is they offer a free home trial which means you can try up to four pairs of glasses on at home, see which you like best and then buy them instead of buying ones you are unhappy with. My only problem with the free trial is I end up liking more than one pair and end up buying them all because I simply cannot decide which look the best. Oops. The Millie glasses are £69 if you want the glasses clear or as sunglasses and there is an extra charge for digital protection, bifocal and varifocal. Which is pretty good in my opinion. Glasses Direct have a lot of offers on such as currently 2 for 1 and two pairs of glasses from £19. I would totally recommend trying out Glasses Direct for their free trial and to purchase some glasses from as they have plenty of choice at all budgets. I will definately be going back to get another pair from them at some point soon. Would you buy glasses online? *I was gifted these glasses in exchange for an honest review. 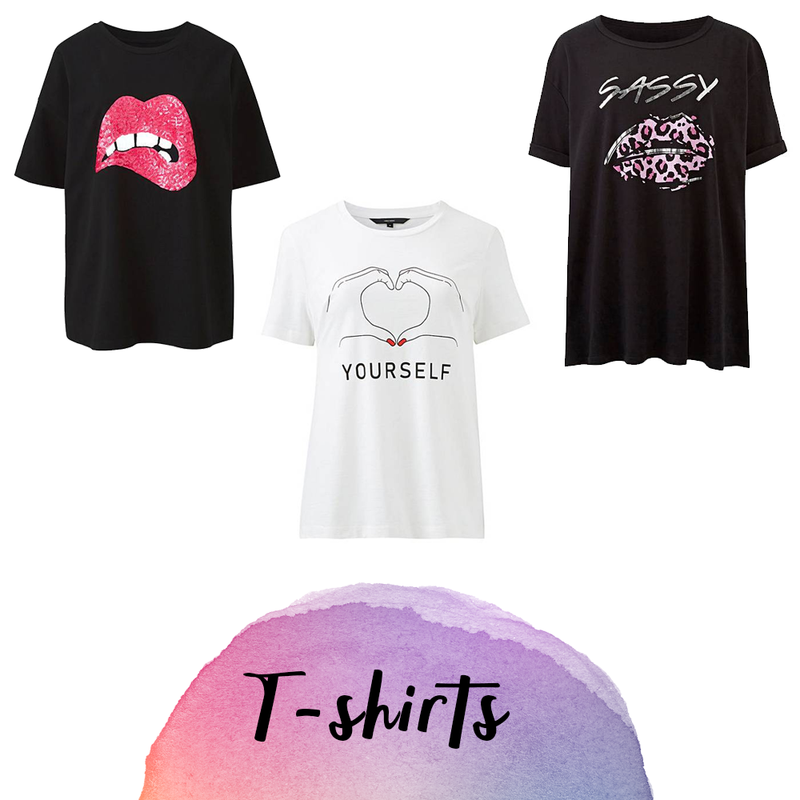 It's back, shop my style is back, these posts are some of my favourite to share with you guys as I love to share my fun and unique style with you all. I want to get into creating them monthly, but you guys know what I'm like with my posting at the moment. I've gone from being the most organised blogger to having 0 time and being lucky to get more than 5 posts up a month, ah I miss being a student! This month, I've gone all out with my summer style. Although I am not sure if the summer is going to come back as we've already had a scorcher of a week a few weeks back. Boo. I hope you enjoy my slightly 'out there' style and let me know if you want to keep seeing these posts! 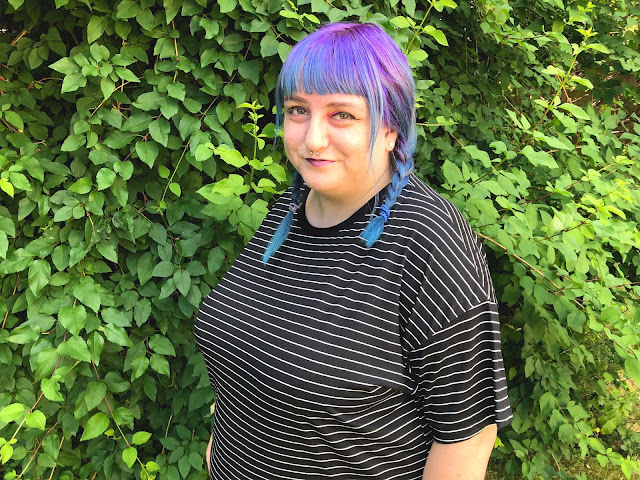 I feel like my own personal style is still the same as it was when I was a teenager with a little bit more edge and slightly less dark (I sometimes wear pink!) 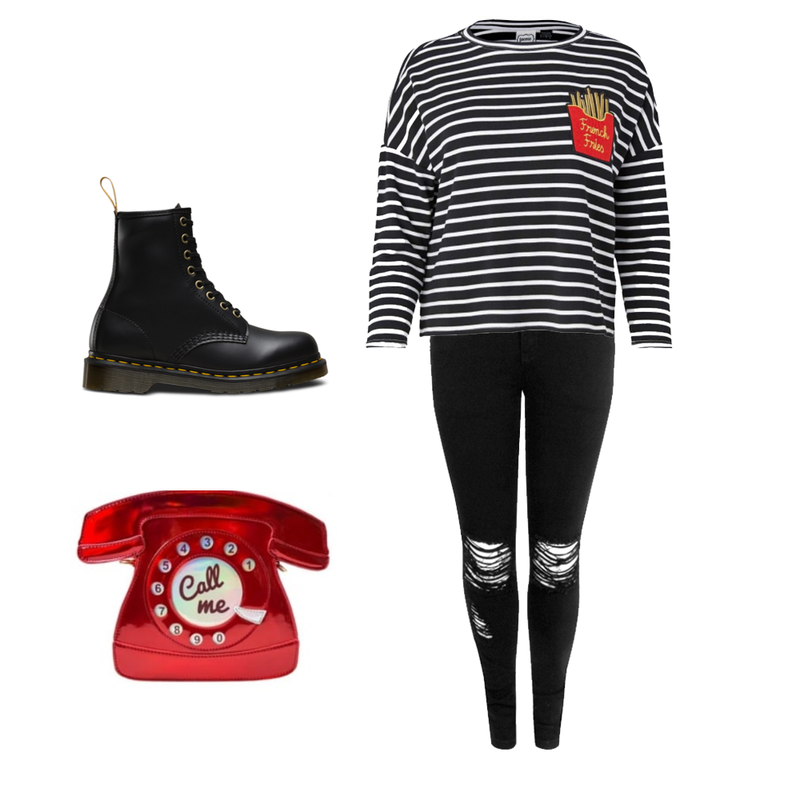 but the Dr Martens and the band tees are here to stay. 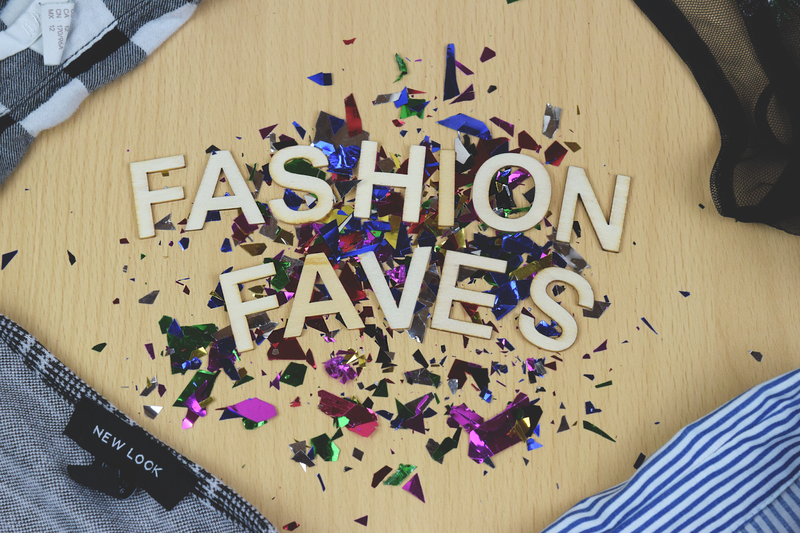 Although I don't tend to follow trends I do have some style inspirations and I can't wait to share them with you. 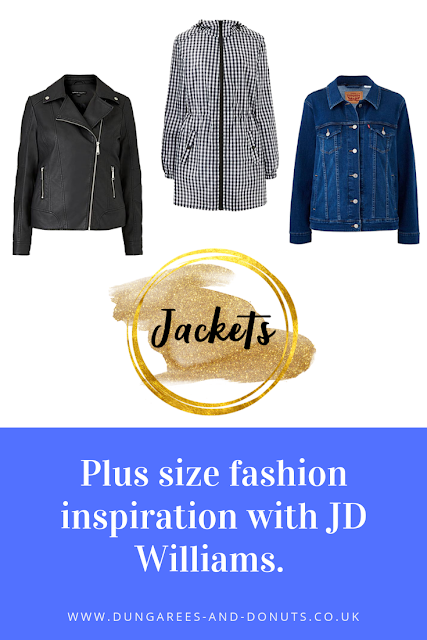 Being a blogger myself and reading lots of blogs means I tend to see lots of style related posts that inspire my own personal style! 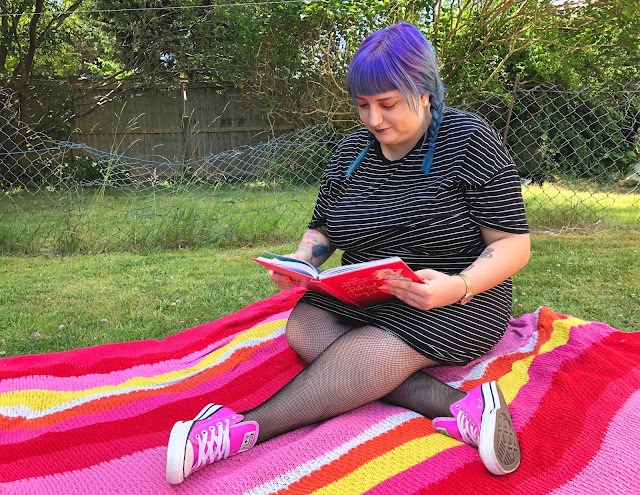 I am always drawn to the more alternative styled blogs such as Foxxtailz who is written by one of my good friends Jess, who has rockin' hair and funky style. I mean Tartan pants are the one! 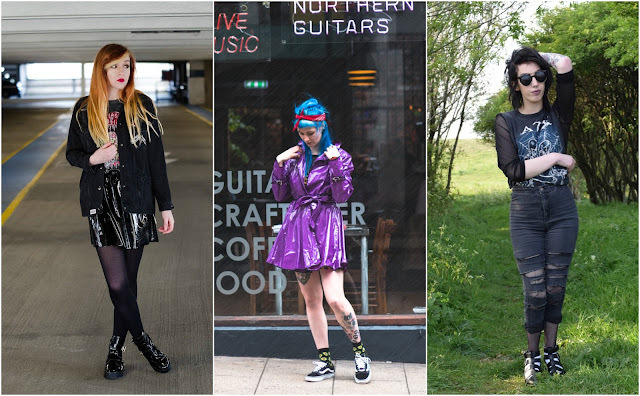 As well as Sarah (over at Moshing Zombies) who also wears a lot of awesome clothes like ripped jeans and band tees and does perfect makeup and finally one of my favourite style icons is Aoife from Rockettequeen who is gorgeous style, band tees, denim jackets and pretty skirts, yes please! Like most people elements of my style come from celebrities. 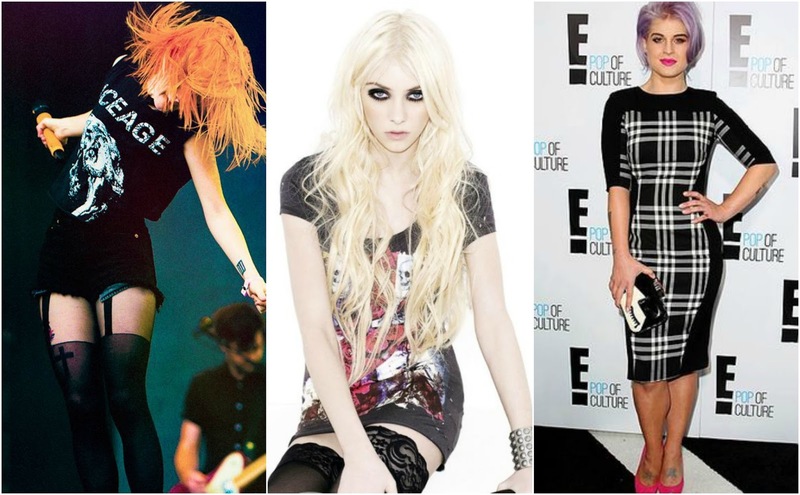 I love the styles of Hayley Williams who will forever be a massive style icon of mine Kelly Osbourne, hello amazing hair and gorgeous style and Taylor Momsen (making fishnets and heavy eyeliner acceptable since I was an early teen, perfection. I am forever seeing awesome style ideas on Pinterest, from different shoes, to full outfit inspiration. 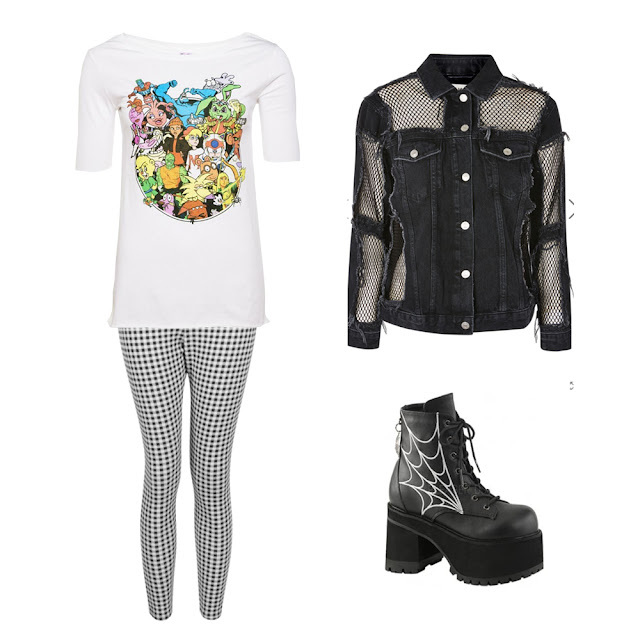 I have complied some boards including edgy style, festival fashion and shoes. Seeing different images and other peoples boards inspires my style. I hope you enjoyed this post as it was a little bit different to usual.